When it comes to preparing your company accounts for the end of your financial year, the team at Keith Willis Associates go above and beyond to provide in-depth insight into the financial health of your business. As standard, we make sure your financial records and accounts are ready to be reported to meet the highest possible standards. But we don’t stop there. We can use the data and account records to give you clear insight into your finances, which could help you make better financial decisions in the future. We’re familiar with all account formats for small companies, and our experienced accountants bring a personal approach to every client. That means we tailor our work to your requirements, providing a prompt, diligent and efficient service to get you up to speed in time and to the highest standards. 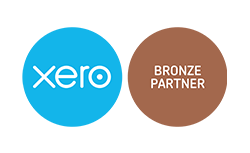 If you’d like to know more about our accounts preparation services for small and medium sized-businesses in Nottingham, contact our friendly team today.